It's nearly time once again for the Amador Choraliers' spring concert. This year "That's Entertainment" will take you back in time with "Singin' in the Rain", "Begin the Beguine" and "Over the Rainbow" as well as bring you into the 21st century with hits such as "City of Stars" from the movie "La La Land". Please note that all concerts this year are at new venues. Thursday, May 3, the group will be performing at 7:30 at the Ione Memorial Hall, 207 S. Amador St., Ione. Saturday and Sunday, May 5 and 6, will find them performing at the Margaret Dalton Children's Center, 975 Broadway, Jackson. Show time for both days is 3 p.m. Doors open 30 minutes before concert times. Tickets are $10 and may be purchased at www.amadorchoraliers.org, or at the door as seats are available. These new venues are smaller and seating is limited. You are encouraged to buy your tickets in advance on-line. Amador Choraliers have been entertaining audiences in the Mother Lode for over 50 years. We are proud to carry on the tradition and are looking forward to seeing you at our concerts. For more information on the concerts, becoming a Foundation Member or Sponsor (get free tickets!) 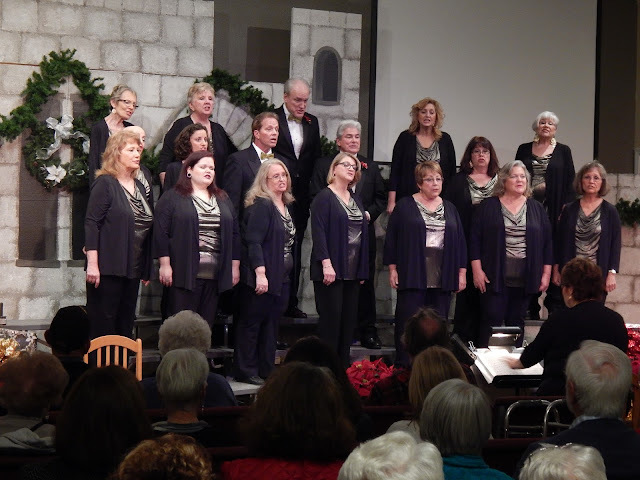 or joining the chorus as a singer, pianist or lights and sound technician, go to their website or call Carole 209-743-9258.